JDP supply water meter boxes with or without insulated water pipe ducting, designed for either below or above ground installation. 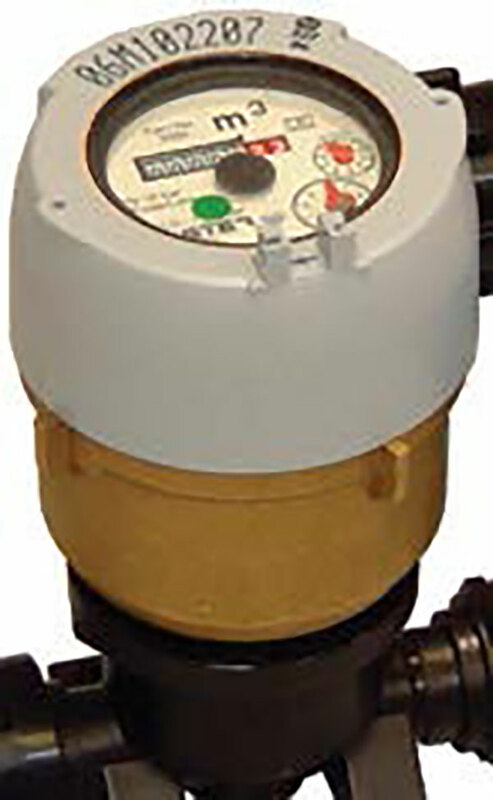 Suitable for new connections, or ‘retro fitting’, when a household has chosen to change to a metered water supply, the easily installed meter boxes offer simple water connections with an integral control valve. For new connections, or for when a household has chosen to change to a metered water supply. 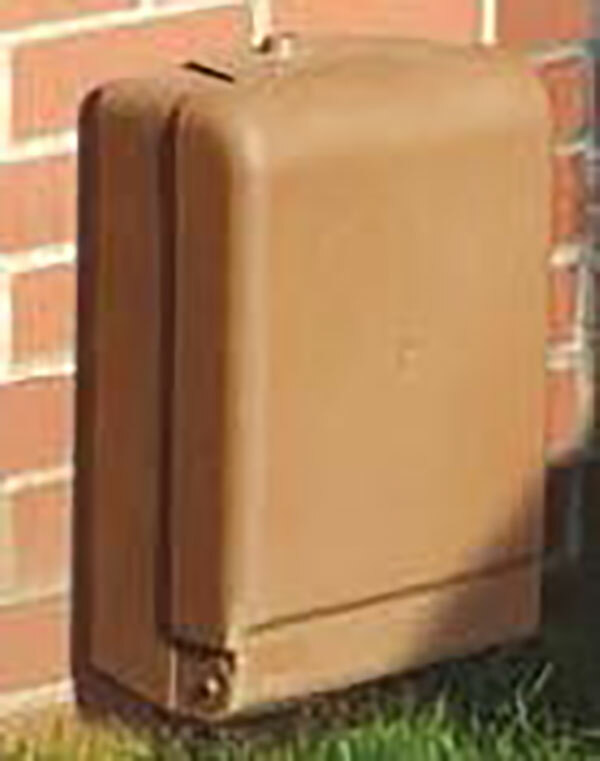 The Groundbreaker meter box is manufactured from 90% recycled polypropylene by an injection moulding process and designed to fit on the outside wall of the building. Compliant with ‘Secure by Design’ criteria, Building Regulations Part M and Radon alleviation designs and within PPG3 Planning Guidelines, fixing on the surface of the wall. Above ground versions allow connections to hosepipes etc. 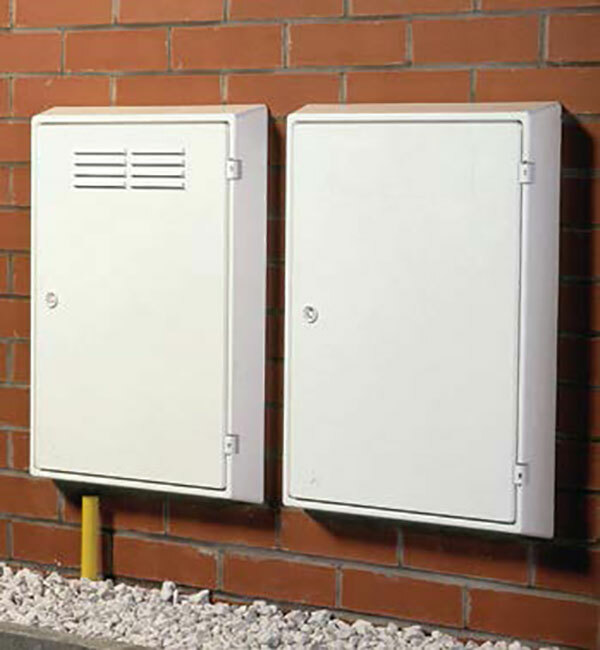 A range of domestic gas meter boxes is supplied by JDP, recessed for cavity walls, surface wall mounting or ground level installation. All meter boxes come with bracket and union adaptor for accepting gas meters and service pipe connection. The supply of electricity cable to the property is the domain of the local electricity service provider. However ducting such as in the Ducting Systems section page 105, and electricity meter boxes are requirements of the house builder. 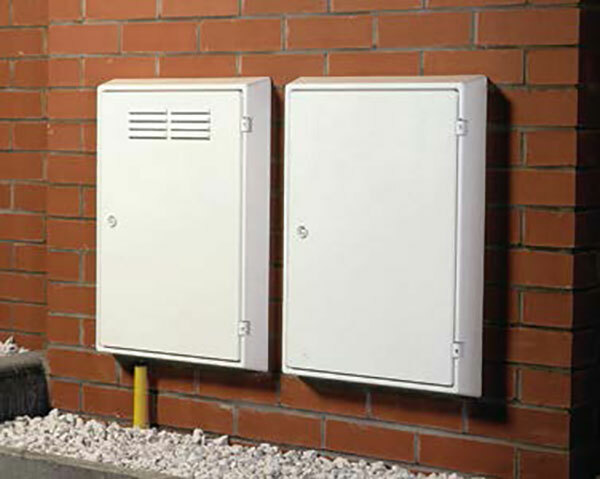 JDP supply electricity meter boxes suitable for cavity walls or surface wall mounting. Both types are supplied complete with meter board for fixing the meter to. There is currently no recognised uniform standard within the UK, however these units conform to BS6400 ventilation requirements. Place chamber on firm ground and connect pipe, ensuring directional flow matches arrow on base. Open lid and adjust telescopic chamber to finished ground level. Close lid and backfill the hole with 150mm layers of granular soil, compact each layer to just below the headbox. Adjust head to ensure lid will suit finish ground level. Ensure the frost protection foam is fitted inside. Installation is by drilling and fixing to outside wall and connections are made by compression and threaded for water meter.